WWF South Africa board member Dr Jackie King has been named the 2019 Stockholm Water Prize Laureate for her game-changing contribution to global river management. 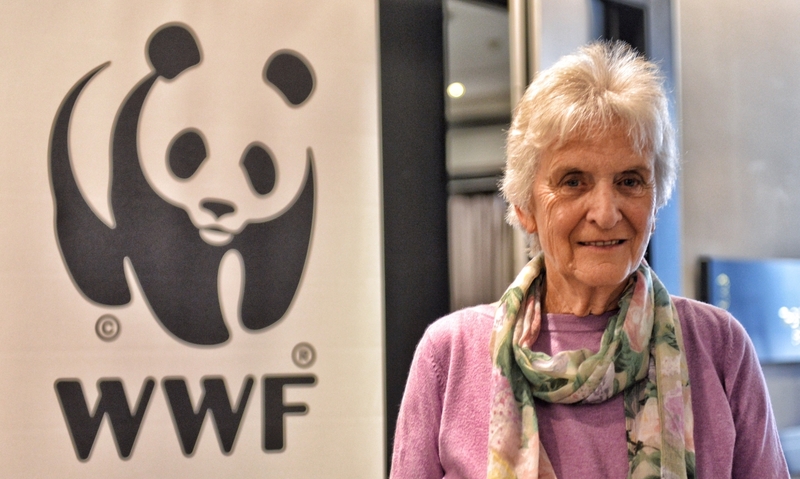 WWF South Africa board member Dr Jackie King is the 2019 Stockholm Water Prize Laureate. In the citation for the 2019 Stockholm Water Prize, she is recognised for having “advanced the scientific understanding of water flows, giving decision-makers methods and tools to assess the full range of costs and benefits when managing or developing river systems”. Based in Cape Town, Dr King is an aquatic ecologist who was a researcher, lecturer and supervisor of postgraduates at the University of Cape Town for almost four decades. She specialised in developing methods for assessing the water requirements to sustain river ecosystems, leading the early development of such methods for South Africa which resulted in their inclusion in the country’s 1998 National Water Act. Since 1997, Dr King has led several scientific teams working on the river flow management of many of the world’s major river systems, among them the Nile, Mekong, Indus and Okavango. She was team leader of an international advisory group appointed by the World Bank between 2001 and 2003 and contributed to work of a similar nature for World Fish and the World Commission on Dams. From 2009 to 2012 she acted as advisor to the Government of Pakistan in a dispute with India over the Kishenganga Dam in the Himalayas, culminating in serving as an expert witness at the International Court of Arbitration at The Hague in August 2012. Dr King’s work in South Africa was recognised in the 1990s with a Silver Medal from the Southern African Society of Aquatic Scientists and in 2003 through the government awarding her the national Women in Water award. In 2010 she was appointed an inaugural member of the National Water Advisory Council to advise the South African Minister of Water Affairs. In 2012 she was appointed as Extraordinary Professor at the University of the Western Cape. In 2016, she was awarded WWF South Africa’s prestigious Living Planet Award. The award is given to exceptional individuals in South Africa who inspire people to live in harmony with nature.